Samsung and LG are going to push forward release dates of Galaxy Note 7 and next model of V10 by a month. It seems that they have come up with decision because Samsung is trying to carry on positive performance that it has received from Galaxy S7 while LG is trying to say competitive against its competitors in Smartphone markets during second half of this year. 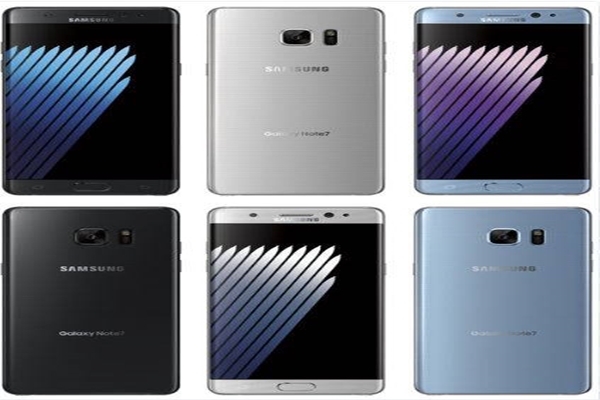 Samsung is planning to release Galaxy Note 7 on the 2nd of August, when 2016 Rio de Janeiro Summer Olympics (8/5) is taking place. Considering the fact that its previous model, Galaxy Note 5, was released at the end of August, release date of Galaxy Note 7 was pushed forward about a month. It is predicted that LG V Series will be released early September. Its previous model, V10, was released during October of last year and while V10’s next model’s name is not decided yet, there is a higher chance that it will be ‘V20’ instead of ‘V11’. Since Samsung is an official partner of Rio Olympics in wireless field, it can definitely benefit from marketing if it releases Galaxy Note 7 according to schedule of Summer Olympics. Industries believe that LG is releasing V20 (tentative name) earlier since its popularity can be dominated by Samsung and Apple’s new phones if it is released in October. “Although V10 was released in October of last year, there is a high chance that its next model will be released a month earlier this year.” said a representative for an industry. “It can fall behind of Samsung and LG if it is released late.” However if LG pushes forward its release date, it is inevitable for LG to go head to head against Apple since it is likely that iPhone 7 will be released in early September if Apple’s consistent pattern on release dates is considered. It seems that release dates of Samsung and LG’s new products are getting pushed forward by a month every year in past 3 years. Galaxy Note 4 and Galaxy Note 5 were released on the 26th of September in 2014 and the 21st of August in 2015 respectively. Galaxy S7, Galaxy S6, and Galaxy S5 were released on the 11th of March in 2016, the 10th of April in 2015, and the 11th of April in 2014 respectively. Looking at G series instead of V series that was first introduced last year, G3, G4, and G5 were released in end of May in 2014, end of April in 2015, and end of March in 2016 respectively. Apple’s iPhone series were introduced in early September consistently.